As a wildlife ecologist, I am interested in how animals use resources and how changes in the resource base, competition, and community composition modulates their functional role in an ecosystem. By exploring the linkages among small mammals, mycorrhizal fungi, and trees, my interdisciplinary research addresses questions at the nexus of animal ecology, fungal ecology, and forestry to better understand how forests function and to inform best management practices. In addition to classroom instruction, I believe that having the opportunity to work on a research project as an undergraduate is essential for developing the skills needed for entering graduate school or a job in the natural resources field. Accordingly, I have made a point to include dozens of students in the field and lab components of my research. Moreover, I have closely mentored 11 undergraduate students on independent research projects, helping them to define research questions, formalize a study design, write grants to obtain funding, collect and analyze data, and interpret results. These projects have been on a variety of subjects related to small mammal ecology. All students have presented their findings at undergraduate research symposia or national conferences, and five are coauthors on peer reviewed publications. To date, four of these students are pursing master’s degrees in biology or natural resource subject areas, with three focusing on aspects directly related to the ecology of small mammals. I find the experience of mentoring students and watching them progress to be one of the most rewarding aspects of research. Stephens, R. B., C. B. Burke, N. Woodman, L. B. Poland, and R. J. Rowe. 2018. Skeletal injuries in small mammals: a multispecies assessment of prevalence and location. Journal of Mammalogy 99:486-497. Stephens, R. B., T. J. Remick, M. J. Ducey, and R. J. Rowe. 2017. 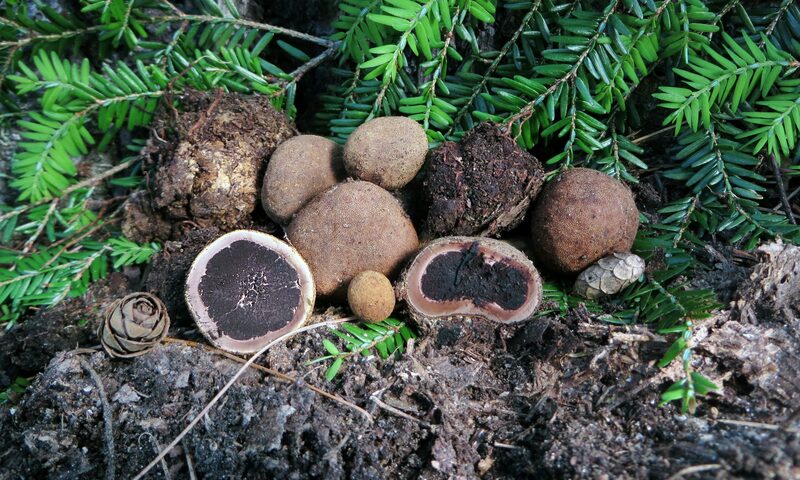 Drivers of truffle biomass, community composition, and richness among forest types in the northeastern US. Fungal Ecology 29:30-41. Stephens, R. B., K. H. Karau, C. J. Yahnke, S. R. Wendt, and R. J. Rowe. 2015. Dead mice can grow – variation of standard external mammal measurements from live and three postmortem body states. Journal of Mammalogy 96:185-193. Stephens R. B., E. M. Anderson, S. R. Wendt, and J. K. Meece. 2014. Field identification of Peromyscus leucopus noveboracensisand P. maniculatus gracilisin Wisconsin from external measurements. The American Midland Naturalist 171:139-146.